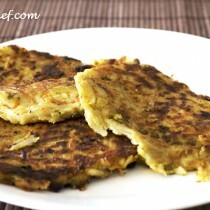 Recipe: Potato and Carrot Fritters On some weekends, I like to make those potato and carrot fritters for breakfast. They are nice variations to pancakes. You can add also throw in some bacon and your favorite herbs and spices.